We are a small team with low overheads allowing us to concentrate on providing excellent customer service and offer exceptional quality events at competitive prices. All events & expeditions are risk assessed by qualified Institution of Occupational Safety and Health risk assessors. We don’t subcontract events to other companies / providers, so we have full control over the level of service that we are providing. Detailed knowledge of the area in which we operate. Vast experience in providing training and coaching at a level appropriate to the client to meet their needs and expectations. Dan first discovered a love of the outdoor from a young age. He has been building on this initial interest ever since. Whether it be walking or climbing, Dan likes to get off the beaten path, seeking out areas which offer a variety of different experiences and terrain; from local crags to 4000m peaks in the Alps and beyond. Having had experience as a youth worker, community sports development officer and more recently, a freelance outdoor instructor, Dan is continuing to expand his skills and experience. He holds the following qualifications: Community Sports Leaders Award, Single Pitch Award, Mountain Leader Award (Summer), International Mountain Leader, Mountain Leader Award (Winter), Enhanced First Aid, Pre Hospital Trauma Care and IOSH Risk Assessor. 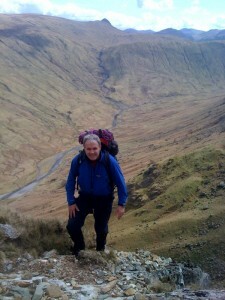 Ken has years of experience of providing training to individuals and groups. Ken’s motivation has always come from enabling others to develop the skills, confidence and abilities needed to maximise their own potential. He seeks to combine his instructing and outdoor expertise to provide an environment that will enable others to explore and enjoy the outdoors for themselves. As well as climbing and scrambling, his mountaineering experience extends to time spent climbing many of the 4000m peaks in the French and Swiss Alps, back packing the John Muir Trail in Yosemite National Park, California, and a recent summit of Stok Kangri, 6153 metres in the Himalayas. 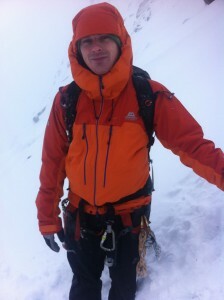 Ken also works as a freelance expedition leader for companies specialising in youth development. Ken has recently led expeditions in Asia, Africa and Central America. He holds the International Mountain Leader Award, Mountain Leader Award (Summer), MIAS Level 2 Mountain Bike Instructor, is a qualified IOSH Risk Assessor and is trained to an Enhanced First Aid level.